Slight difference to this week's Waiting on Wednesday for me! 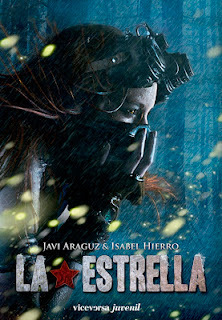 The Star is a Spanish dystopian YA novel that's currently only had the first chapter translated into English. Authors Javi Araguz and Isabel Hierro are asking people to request that it's translated into English at this page, and having read the first chapter I'll add my voice to theirs - I really want to see what happens next! I speak spanish but I don't really want to read it in spanish. I'm so used to reading my YA books in english, I don't think I'd get quite the usual kick. Although I already checked the blog and making of, and everything sounds amazing!